It must be rough having to go through your career with the title “American Idol Winner” before your name. Sure, many winners and artists from that show have embraced their AI roots but I’d think, if I had even an ounce of musical talent and played my whole life even before a contest I’d won, I’d want my music to stand on its own. For Lee DeWyze, the 2010 Idol winner, it’s likely somewhere in the middle how he feels about playing shows with essentially a tagline. When I interviewed him last week, he said he gets it, loves and respects where he came from, but does long for the music to stand on its own. But, let’s drop the whole Idol thing. 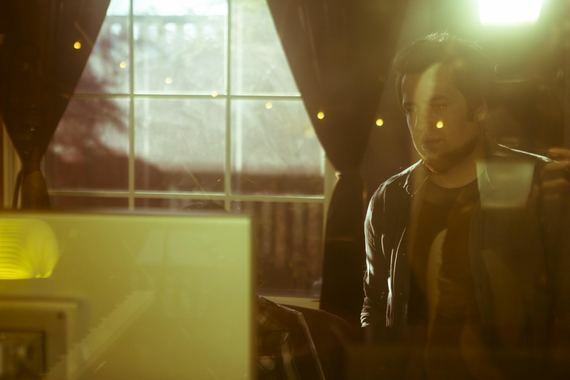 For years, DeWyze has been making music, and it’s a far cry from the covers he was doing week in week out on the “Seacrest Out” juggernaut. His most recent album Oil & Water was critically acclaimed, a song we wrote on The Walking Dead soundtrack resonated with zombie nerds (I’m one of them so it’s OK to say), and his current single “Weight” has just that – a weight to it. Anyway, the man, the myth, the DeWyze is in the midst of touring as he’s done all 2016 along. I chatted with him about his songs, his tats, and, yes, his Idol roots. Read on! “Oil & Water” was so well received – talk to me about how the meanings of the songs and if they have evolved from first writing them to performing them live this year. I wrote and recorded “Oil & Water” in my own studio. I wanted the record to feel personal, while also connecting with an audience in a way that’s relatable. I grew up listening to Cat Stevens and Paul Simon. Lyrical content has always been at the forefront of what I do. Playing my new record live has been the best way to discover things about the songs I didn’t even know about them when they were recorded. Whether tempos, or cadence in a particular track, its been exciting bringing the songs to life. The meaning of each song can change from day to day for any particular person which I think is what makes music a beautiful thing. “Weight” just appeared on last week’s episode of Elementary. Describe the track for me. “Weight” came about towards the end of 2016. While working on a project, I was inspired in the studio writing on the piano. I primarily play guitar, but write on piano quite a bit. It was one of those moments where I felt simplicity in the music tied with a strong vocal and harmonies would best convey the lyric and message of “Weight”. Its a song about feeling the pressure and weight of everything coming down on you and not knowing where to turn. While the song is in fact somber at times, there is a feeling of hope that if you can just hold on, you can get through. I feel nowadays more than ever that is feeling that many people can relate too. 2016 was a terrible year in terms of loss. Which icon’s death hit you the most? We have most definitely lost several music icons this year. Leonard Cohen for me really stands out. He not only influenced me as an artist, but I also have been covering “Hallelujah” for quite some time. From Bowie to Cohen, it is definitely a year to remember. I have been a Cubs fan for as long as I can remember. Going to the games as a kid with my dad and uncle are memories I won’t soon forget. A few years back, I was even able to throw out the first pitch at a Cubs game which is a dream come true for any Cubs fan. I was at home watching in Los Angeles while my family was back in Chicago, all of us rooting them on. As the last out was thrown, my house erupted. It was a long time coming. It means so much to me as a fan, and I know it means everything to the city of Chicago. All of my tattoos have personal meaning to me. I guess i view them as markers on a timeline of my life. Each tattoo was inked during different times. I have always loved black ink, no color. There’s always been something about just black ink that I love. I’m actually thinking about getting another – always looking for new artists! Do you mind the moniker American Idol Winner before your name? Does it wear on you at all? I wouldn’t say that I “mind” it per say. I would however say that coming off of a show like ‘American Idol’ , there is a fine line to walk at times. Specifically when it comes to putting out new music. For some, the term ‘American Idol Winner’ means one thing, and to another, something widely different. Not everyone that comes off that show is the same. In fact, no one that comes off that show are the same. I’m a songwriter that won American Idol. I am not an ‘American Idol’ winner that won, and suddenly started writing music. That said, I will always appreciate what the show has done for me early in my career, and will always be thankful to those who watched, and voted. I want people to listen to the music I’m making. When I wrote ‘Blackbird Song’ for The Walking Dead, I think it really opened many eyes to the fact that I’m a songwriter. [Same with] “Frames,” “Oil & Water”, and my newest single release “Weight.” If anyone wanted to know what kind of artist I am, I would simply have them listen to the music. That has been the best part over the past few years. Yes, I am an “American Idol” winner and I’m proud of that. There are and have just been so many amazing experiences since the show that I would hope the body of work would speak for itself. For the holidays, I will be playing a show in Chicago on Dec. 30, and a New Years show in Michigan Dec. 31 and Jan. 1. In 2017, I am looking forward to doing many new things with music and touring. I have been writing and working in the studio already for releases in 2017, and its been very exciting to bring these songs to life on stage. It will be a year of new music, and hitting the road. As I regain circulation in my fingers as I type this (wear gloves, Jon), I was struck by a product sent to me. The “Heacket” is a powerful heated jacket. Yep, it heats up in seconds and it works. It’s also waterproof. 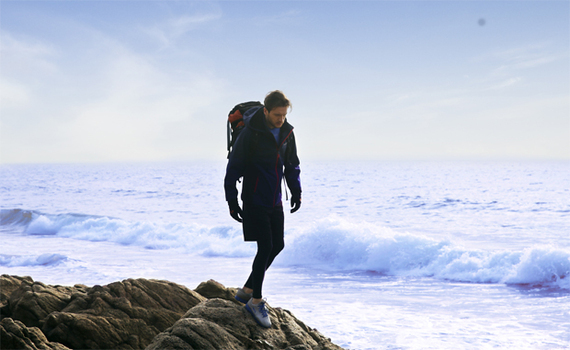 It’s made of “carbon-based soft warming fabric” and is quite durable. For more info on this or to support the interesting creators behind it, click here. Be kind to us, winter. Each week A-Sides unleashes its top 12 tracks of the week AKA the “Delve Into Twelve” based on the following contributing factors: songs I’m playing out that particular week (no matter when they were released — think overlooked songs, unreleased tracks and old favorites), songs various publicists are trying to get me to listen to that I did and dug a bunch, song posts and trends I’ve noticed on my friends’ Facebook walls and, most importantly: what my preschooler is currently enjoying thoroughly with an assist from my toddler. This week, I’m playing holiday tunes I dig. Jon Chattman’s music/entertainment series typically features celebrities and artists (established or not) from all genres performing a track, and discussing what it means to them. This informal series focuses on the artist making art in a low-threatening, extremely informal (sometime humorous) way. No bells, no whistles — just the music performed in a random, low-key setting followed by an unrehearsed chat. In an industry where everything often gets overblown and over manufactured, Jon strives for a refreshing change. (Theme song by Blondfire.) Artists featured on the series include Imagine Dragons, Melissa Etheridge, Yoko Ono, Elle King, Joe Perry, Alice Cooper, James Bay, Jimmy Eat World, Charli XCX, Marina and the Diamonds, and Bastille.